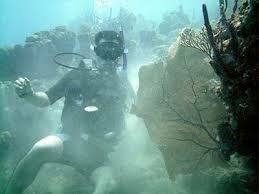 Dan’s Dive Shop has shared the adventure of scuba diving in Niagara, Ontario for over forty years. We have become Canada’s leading provider of progressive recreational scuba diving courses, as well as cave and technical diving courses, advanced specialty dive training, sidemount and more. We teach students from all over Canada, the United States, and internationally some of the best ways to learn how to scuba dive. 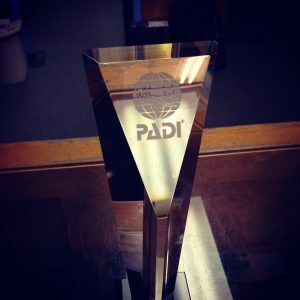 PADI Canada presented us with a great distinction this year as we celebrated being Canada’s oldest PADI scuba diving facility. In each of our recreational courses we offer you the ability to learn how to dive better, safer, easier, while obtaining the most progressive diver education in the business of diving. You’ll be taught to scuba dive using the most progressive techniques in the most comfortable scuba diving equipment available, using a more modern and versatile equipment configuration which will allow for a more streamlined diver profile, expert buoyancy and improved fin techniques. Please read on to see the difference Dan’s Dive Shop/Divers Edge can make in your diving education. We orient you underwater in a similar manor to how a “Free Fall Sky Diver” looks. like them, divers who maintain that horizontal posture (or trim) with your knees up and fins up, hands still can benefit you as you’re going up or down by slowing your ascent through more drag or creating more drag upon descent. As you swim effortlessly through the water when horizontal you are more like a bullet going through the water swimming more efficiently and more balanced, creating less drag. Typical images of scuba divers often show the diver in a knees down position, hands are often flapping as well due to improper control and balance, vertical posture, equipment dangling and the diver looking like a Christmas Tree. That is how the vast majority of dive stores teach scuba diving. 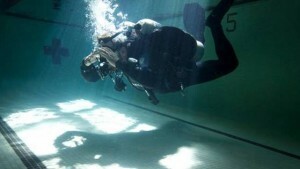 When you train with us you will not have to subject yourself to a lower level of diving. Its Easier to dive Well than it is to Dive Poorly. When you wear a more balanced equipment rig, good buoyancy and control in the water make diving so much more enjoyable and will allow you to progress through more advanced or technical courses with a greater ease as well. When you learn proper trim, buoyancy, weight distribution and fin techniques with us it will allow you to maintain the visibility without stirring up the particles on the bottom, which can become disorienting even in the clearest of water or have you hover motionless without moving up or down. We try to instill the Zero Impact Diving Mentality, which means No Kneeling or Standing on the bottom of the fragile underwater environment. Preserves the reef and wrecks with buoyancy control. We believe in diving smarter, not harder. Minimize bulk, drag, eliminates potential entanglement issues through dangling accessories, hoses, gauges, and minimize a potential stress that doesn’t even need to be there. Diving with less bulk and clutter on your setup allows more efficient swimming and less resistance, with the added bonus of more underwater breathing time. 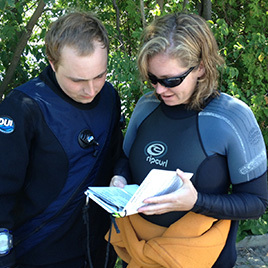 All of Dan’s recreational open water courses and continuing education courses are generally taught in backplates (with the exception of Sidemount) which offers you a custom fit, increased comfort, trim and easier buoyancy control without the bulk, clutter, drag inferior diver posture or potential claustrophobia of a confining jacket bcd that squeezes air around your stomach and drops your waist/knees/fins towards the bottom. Learn diving right the first time and let Dan’s take you down the right path in the right skills in the right equipment and the right mindset from day one. New Divers are often mislead down the path being sold a “Starter Package” consisting of soft fins that bend too easily, clear skirted masks that let too much glare and light in affecting your vision. 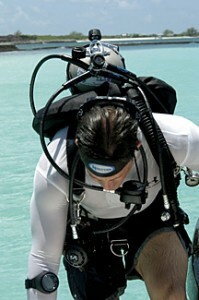 Emphasis is often placed more on the snorkel as the most important part of your gear, despite the fact that no experienced diver actually wears one due to potential entanglement or obstruction of your “long hose”, along with them spending money on hard goods they grow out of over months, not years of diving. Don’t spend money on gear that you’re quickly going outgrow and upgrade 3-4 times. Our approach at Dan’s is to sell you gear that will grow with you and that will expand or contract as your needs, environments and exposure suits change. There is no such thing as a “starter package” for diving, there is only right gear and wrong gear. Divers should be taught to fin properly in fins that can frog kick, back fin and turn, they should be allowed to see underwater the way things were intended, without fear of entanglement or mistaking a snorkel for a bcd inflator hose (similar shape and size), while being able to be horizontal and enjoying great visibility instead of fighting the natural orientation of jacket bcd that pushes their waist, knees and fins towards the bottom and causes silt. Our training approach utilizes the most modern philosophies and trends in the industry, and the best technology and equipment, to set us well ahead of the other dive shops who are still teaching outdated techniques in a less efficient equipment configuration. All of our Award Winning scuba diving classes are tax deductible as well so you can claim them on your income tax as education. 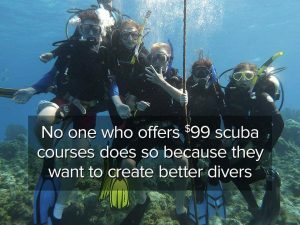 – A perceived “a too good to be true” priced scuba course often is, and there are hidden costs that typically price it well above ours, while the quality is well below ours. – As Canada’s Oldest PADI Dive Center (Store #23) we have pretty much seen it all over the last 40 years! We have paved our own way, offering diving education that is a sharp cut above the rest. We offer all PADI Courses, from Open Water to Advanced Open Water, Rescue Diver, Divemaster, Master Scuba Diver, PADI Assistant Instructor, Drysuit courses, Dive Specialty Courses, and much more – all taught well above the minimum agency standards. Divers from all over the world train with us. We’ve taught students from across Canada, US, Mexico, Europe, Curacao and are more than willing to come to train you if you or your group want us to. Check out our Photos and watch our Videos to see our divers in action….You could be featured in there yourself – like many of our students – once you’re certified! Whether you are a new or seasoned diver looking for more challenges or control in your diving, we offer the best dive training from the most experienced and accomplished scuba divers in the country. We are also proud to offer you the best selection and pricing on scuba diving equipment from all the best scuba diving brands, as well as local diving trips, exotic dive travel, weekly local dives and more. For divers wanting more of a challenge DDS specializes in Cave and Technical Diving Courses offering the most in depth technical diving programs in the country. 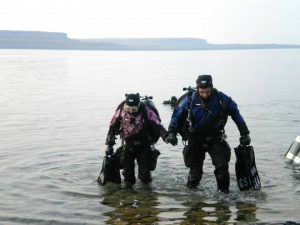 This includes Intro to Tech, Decompression Procedures, Trimix, Cavern and Cave Diver Level 1 & 2, Wreck External Survey and Wreck Penetration, Ice Diving, Technical Wreck Penetration, Rebreather Courses, Deep Diving, Mixed gas diving, Specialty Diver Courses, all of which keep the adventure of scuba diving thriving.